1510: Ondo town founded by HRM Oba Pupupu. 1516: Pupupu, the first Osemawe of Ondo (a lady), was installed. 1528: Oba AIRO the first male Osemawe and the first Son of Oba Pupupu was installed. 1590: Township development scheme began with the creation of two quarters, namely: Olurowo and Aruwa, by Oba Okuta. 1731: Oba Aganmide established Losare and Sokoti quarters. 1768: Jogunde was banished to Akure. He returned to Ondo in 1770. 1770: Oba Terere introduced the ‘Eku’ festival. 1866: Oke-Igbo founded by Ago (a slave of Oba Arilekolasi). 1870: A civil disturbance broke out. Oba Arilekolasi (A.D. 1861) was very oppressive and not liked by the Ondo. He died without repenting or resolving the unpleasant situation he created. The atmosphere of Ondo was still saturated with trouble and chaos when Oba Osungbedelola ascended the throne (A.D. 1870). Unfortunately, the trouble which had loomed for so long broke into the open, and as a result the grave disorder and strife that followed, the Ondo fled the town and sought shelter and peace in places like Igbado, Erinla, Ajue, Oke-Opa, etc. 1880: The civil disorder which broke out in 1870 ended completely. Ago, with his rebel followers, had constituted himself an implacable enemy of Ondo. No sooner Oba Afaidunjoye ascended the throne (A.D. 1876), than a vigorous campaign was mounted by Ondo army and they succeeded in capturing Ago at Oke-Igbo. A string of 200 cowries was tied round his neck by his captors who finally got rid of him by casting him into the Oni river where he died in 1881. 1881: The people of Ondo, who had deserted the town following the outbreak of the hostility of 1880, returned home on the intervention of Capt. 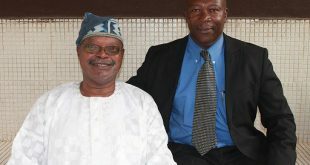 Glover and Mr. Abayomi from Lagos. 1908: Eleyinsakele (a highly notorious gangster) was killed. 1919. Twenty-six students were enrolled that day. The Late Mr.(later Bishop) D. O. Awosika and the Late Mr. S. R. Fadase – both of them sons of the soil, were the first tutors. Mrs. V. O. Akinrele (nee Akinkugbe) and Mrs. T. Osho (nee Ojojo) joined the staff in 1921 and taught in the kindergarten classes attached to the school. Work progressed satisfactorily and later, the school was renamed Ondo Boys Public High School, and the Osemawe of Ondo appointed as its Proprietor. The Late Chief Sara Oladapo, a famous moslem leader, gave up his house at Alo Street to be used as classrooms. The late High Chief Sasere Ayodeji handed over his house to accommodate the Founder and (first) Principal, Rev. M. C. Adeyemi. The School first moved out of the Vicarage to an old Bookshop building at Oke-Otunba, where it spent only a term; and later settled at Alo Street until 1923, when it arrived at its present site, a 90-acre piece of land given by Oba Jisomosun II, the Osemawe, and Proprietor. The Osemawe also awarded the first scholarship of £20 (then N40) a year for three years, 1919-1922. Rev. Adeyemi gave his strength to the work of the School. The curriculum included Greek, Latin, Shorthand, Logic, etc. He introduced Scouting in 1920; established the OBHS Press in 1928 and suggested the formation of the Aionian Brotherhood of Secondary Schools in 1929. The school has passed through a long and unbroken period of successes. In September 1968, it became coeducational and comprehensive. Top civil servants, professionals and business men, University Dons, Diplomats, first class educationists, among them, Canon J. A. Iluyomade – Head of the International School, University of Ibadan – and Church Leaders are a few eminent Nigerians the School has produced. March 4: The first conference of the District Church Council of the C. M. S. held. 1921: Motor vehicle reached Ondo town for the first time (in the reign of Oba Jisomosun II). Henceforth, the simple commodities of life – the wares of Birmingham and Manchester – hitherto unknown to us were brought to our door-steps and became our new treasures in space of time. Special tribute is to the memory of Mr. Jacob Adeniyi Fawehinmi, popularly known as ‘OWIWA’ in his days , for it was he who drove in the first automobile from Lagos. 1925 March 29: Fifty years (Golden Jubilee) of C. M. S. works in Ondo celebrated. 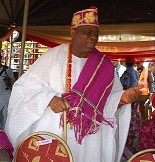 June 6: Oba Jisomosun II exiled to Ile-Ife. 1926: November 28: Women, for the first time, demonstrated openly against an old-age tradition which confined them indoors on the ‘imuko’ festival day. 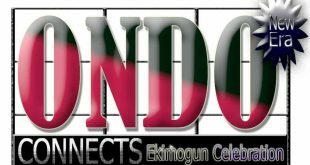 Muko festival was brought to Ondo from Ife by Adegbonmilo a Son of Oni of Ife who later became Oloja of Udoko. December 13: Rev. E. M. Lijadu died. For a long time, Rev. Lijadu will be remembered for his historic service. Immediately after the first Session of the Anglican Synod, held in Abeokuta in May, 1908, Rev. Lijadu went on to England specially to pass the Revised Version of the Yoruba Bible for the Press. 1927: August 11: Telegraphic service introduced for the first time. November 7: White merchants (the Portuguese) opened trading stores/shops in Ondo. 1928: The first printing press was established. Originally, the press was established to train the students of Ondo Boys High School in the printing trade. Time wore on, however, and there was reason to change the name to ‘IGBEHIN ADUN PRINTING WORKS” and full control and management had to be transferred to Mr. Ola Awosika, himself, an old boy of the OBHS, who had extensive training in printing in Lagos. U. A. C. was established at Ondo on November 7. 1931: A Middle School at Odosida was formally opened by Capt. Montomorrency (April 21). Oloja Udoko was baptised. 1942: The Rev. Canon M. C. Adeyemi died (December 3). 1943: The Rev. Thomas Hughes was consecrated Catholic Bishop of Ondo Diocese (May 9). 1948: Telephone service opened (May 26). 1952: February 25, The Rt. Rev. S. O. Odutola became first Bishop of Anglican Diocese of Ondo-Benin. 1953: The Ondo Town Hall was opened on 24th February. 1954: The Ondo General Hospital was opened. St. Louis Girls Secondary School was established. 1955: St. Joseph’s College was established. St. Monica’s Anglican Girls Grammar School was established. 1959: The Ondo Anglican Boys Grammar School was established. 1961: Public Electricity and Water supplies were both commissioned. 1964: Adeyemi College of Education was established. 1974 January 7: The Osemawe, Oba Rufus Adesokeji Aderele, Tewogboye II, died. (January 1974 – December 1975: Second period of interregnum in the history of Ondo. First interregnum: 1896 – when no suitable prince could be selected immediately to succeed Oba Jilo Ajiboro who died in that year). 1975 May 12: High Chief Lisa Fawehinmi (Emmanuel Adesuyi) died. 1976 February 3: Creation of Ondo state with Akure as Administrative Headquarters, was announced by the Federal Government. April 3, The staff and instrument of office was presented to the new Osemawe, Oba Adekolurejo, at a colourful ceremony at the sports stadium by the then State Governor, Wing Commander I. D . Ikpeme. 1980: The Most Rev. T. O. Olufosoye (an Ondo indigene) became the first African to be consecrated Arch-Bishop of Nigeria and Metropolitan. 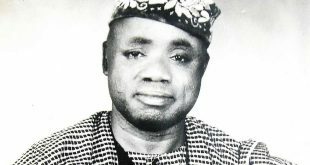 1986: Establishment of Ondo Development Committee by Oba Adekolurejo. 1997: Establishment of fifteen quarters of Ijama Chieftaincy. Source By: Ondo development Committee Archieve.